i-milk is the only milk delivery system on the market using weight based delivery for perfect accuracy. 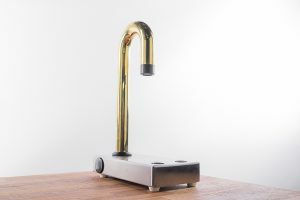 The scale technology offers the barista full control of milk without touching a button! i-milk fonts are available in stainless steel, industrial copper, polished brass and matt black. Apply for a Bintrim rebate – but hurry! 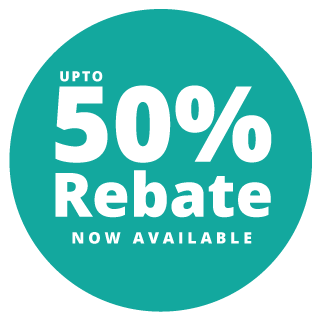 If your business is located in NSW the EPA will pay a rebate of up to 50% of the cost of an i-milk. i-milk is classified as waste reduction equipment which the EPA wants to promote. Hurry – if you want to install an i-milk do it now as rebate funds are limited. To rinse your jug simply invert it on the dispenser. There are no buttons to push. i-milk dispenses 2 types of milk drawn from 10 litre catering packs. 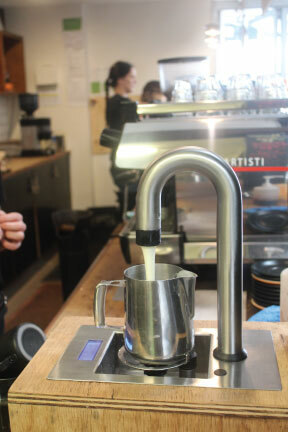 As each pour is accurate to 1 ml any milk wastage from manual over-pouring is reduced. Use the manual mode for milk shakes and other cold milk beverages. 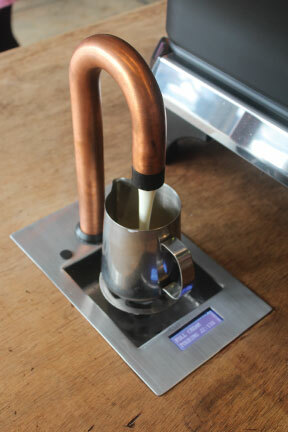 i-milk has a compact footprint of 170mm X 280mm and is best located beside your coffee machine. 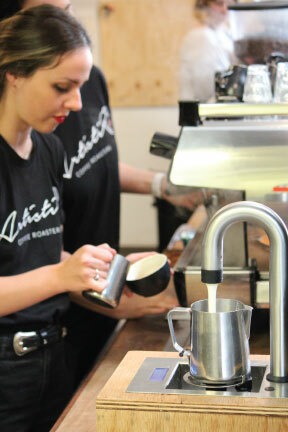 The mini is a cheaper alternative to it’s big sister but will still help you speed up your service and unclutter your counter. It’s a bench-top milk dispenser that is much quicker and easier than dealing with messy milk bottles. Download the brochure at the bottom of the page to learn more. How much money can you save with i-milk? 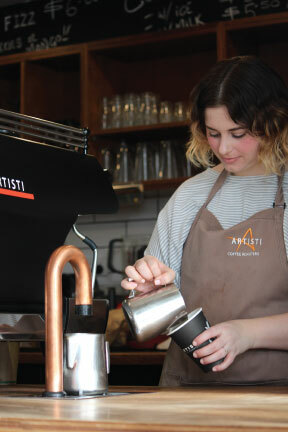 How many kilo's of coffee are you using each week? Discover how much you can save today.